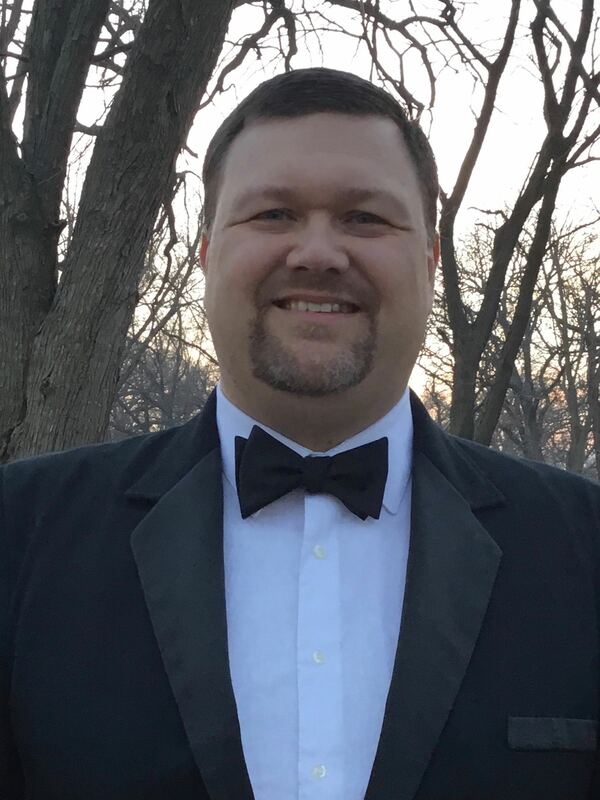 Bryan Bohn is the Director of Bands at Oakland-Craig Public Schools where he teaches band to students in grades 5-12 and accompanies the Junior High and Senior High Choirs. He established the jazz program made up of the Jazz Squires (Junior High) and the Jazz Knights (Senior High). Under Mr. Bohn’s direction, O-C Bands have been selected to play twice at the NMEA Music Education Week at the Capitol. Bryan is active as an adjudicator and clinician for concert and marching band. His previous teaching experience includes North Platte, Gothenburg, and Holdrege Public Schools. Mr. Bohn is a graduate of the University of Nebraska-Kearney, (Bachelor of Arts in Education) and the University of Nebraska-Lincoln (Master of Music-Music Education). Outside of school, Bryan teaches private lessons on piano, bass, and banjo. Bryan and his wife Jenna live in Oakland with their four miniature dachshunds.